Howard Gardner research papers discuss the American educational psychologist best known for his theory of multiple intelligences. 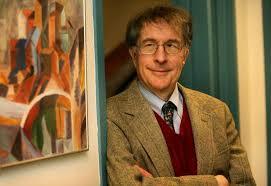 American educational psychologist Howard Gardner (b. 1943) is best known for his theory of multiple intelligences first proposed in the 1980s and considered to be revolutionary in the field of education. Gardner is currently a professor at Harvard University and the codirector of the Good Project. Paper Masters can compose a custom written research paper on Howard Gardner that follows your guidelines. Gardner uses the term “intelligence” to refer to what others consider “abilities,” but the idea has profound implications for the education of children. As the John H. and Elizabeth A. Hobbs Professor of Cognition and Education at the Harvard Graduate School of Education, Gardner is the Senior Director of Harvard Project Zero. In 1981, he received a Mac Arthur Prize Fellowship and was the first American to receive the University of Louisville Grawemeyer Award in Education in 1990. He is also an honorary professor at East China Normal University in Shanghai. Howard Gardner and Intelligence research papers discuss Gardener's theories and research on the concept of intelligence. Multiple Intelligences and Gardner research papers discuss Gardner's theory of learning, which is a notion that is comprised of multiple intelligence. Emotional Intelligence Research Papers look at a sample of an order placed for graduate level services with the organization and structure of paper in a specific format. Order a research paper on emotional intelligence from Paper Masters. Linguistic Intelligence research papers examine one of the types of intelligences identified under Gardner’s Multiple Intelligence Theory. Spatial Intelligence research papers examine areas of Howard Gardner's theory of multiple intelligences. Paper Masters writes custom research papers on Howard Gardner and discuss the American educational psychologist best known for his theory of multiple intelligences.